Thermarest says:The XTherm? air mattress delivers the greatest warmth-to-weight ratio available in any air mattress by far with a softer textured no-slip fabric for better next-to-skin comfort and a quieter rest. Multiple reflective ThermaCapture? layers give the XTherm? air mattress true four-season warmth without the weight or bulk usually found in a winter-worthy mattress. Stuff sack and repair kit included.Available in Regular and Large. 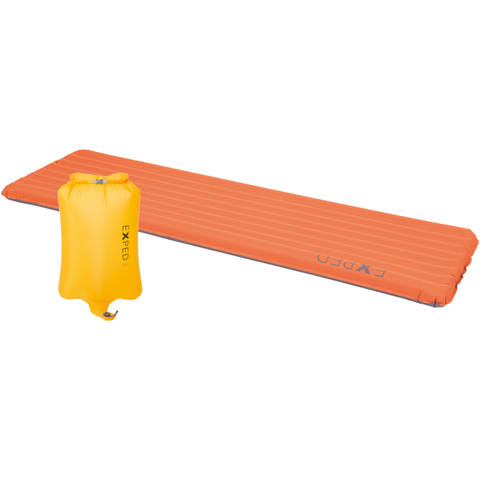 The Astro Insulated 20R Sleeping Pad from Nemo is designed to keep you warm even when the weather gets extra cold. When temperatures dip to as low as 15 degrees Fahrenheit or -9 degrees Celsius this pad will keep you comfortable and warm. This pad is constructed with durable polyester rip-stop fabric and insulated with PrimaLoft fabric. 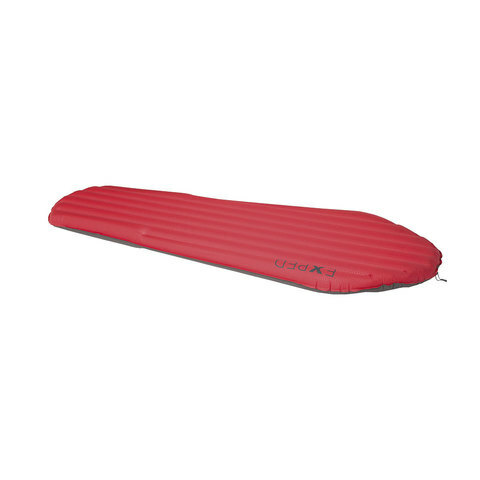 Exped's Down Mat XP 9 Sleeping Pad is a revolutionary mat for extreme temperatures. 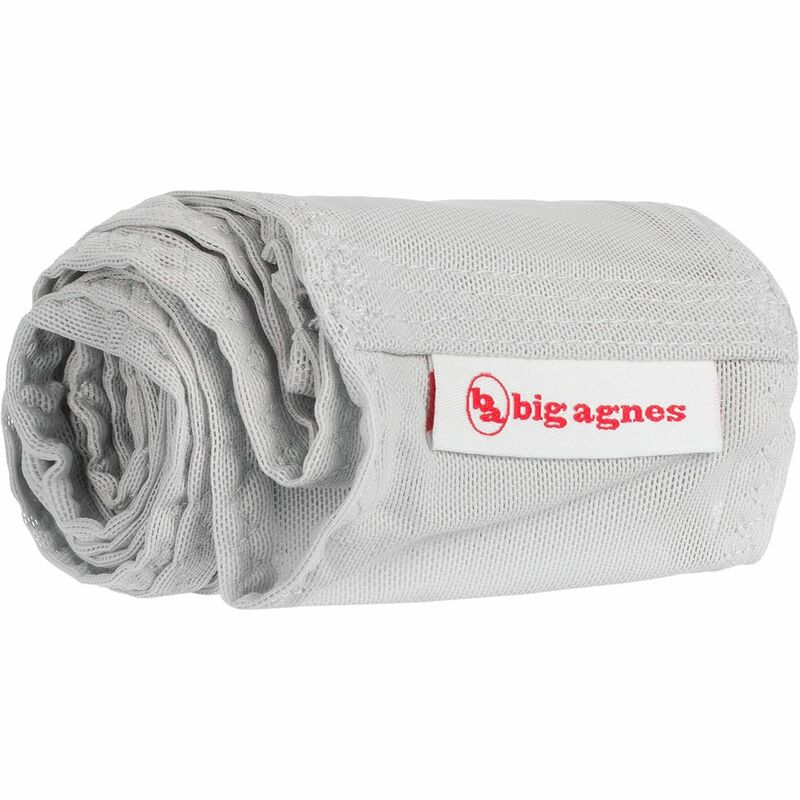 The incredibly comfortable warm and packable Down Mat features a Schnozzel Pumpbag a waterproof stuff sack that doubles as a pump and compression bag for sleeping bags. The pump only needs approximately 2 minutes to work its magic even in extreme cold. 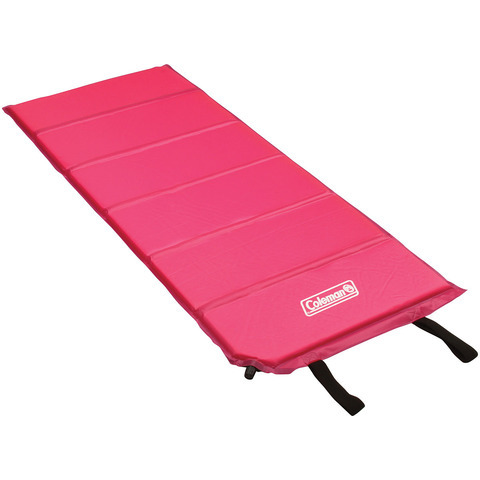 The DownMat XP 9 performs best as one of the few fill down mats on the market that's incredibly compressible during freezing temps. Because you should be comfortable when you're giggling with friends at 2 in the morning... Wait we mean sleeping at 2 in the morning. Weather resistant and easy to wipe down. Innovative design makes deflation fun and easy for kids. Attached velcro bands for easy storage. 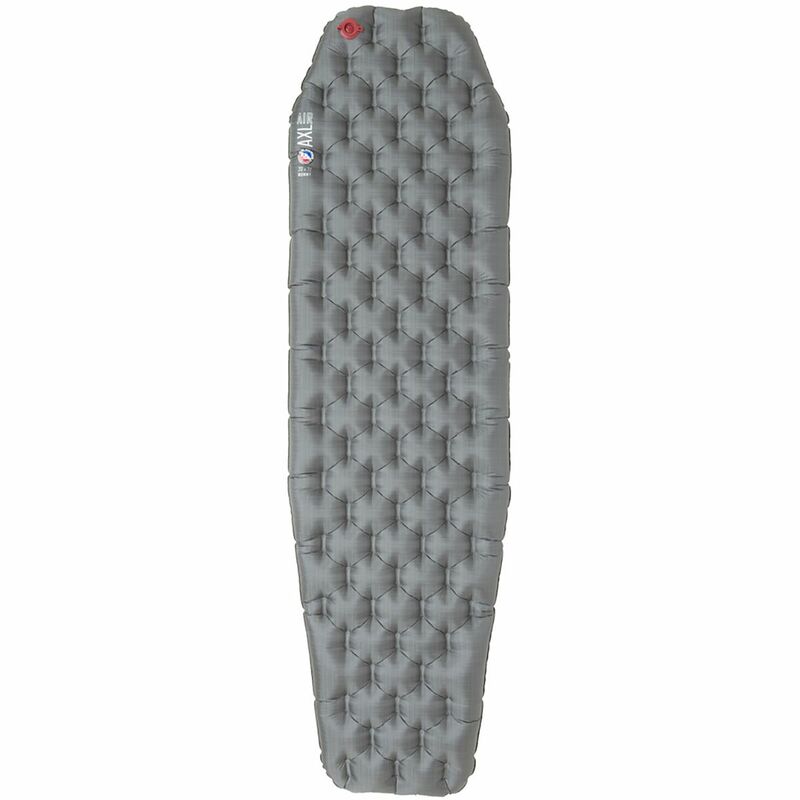 Exped SynMat WinterLite 9 Sleeping Pad is a lightweight design catered to those who enjoy creature comforts of warmth and cozy even when they are deep in the backcountry. 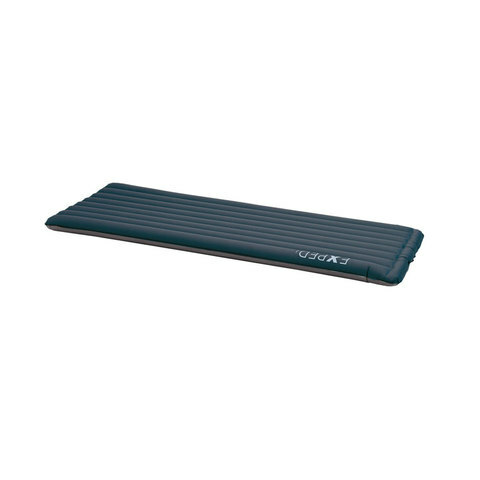 Featuring microfiber insulation and an ultra-thick design of 9cm the SynMat is catered for all seasons so you will stay toasty even when sleeping on snow. 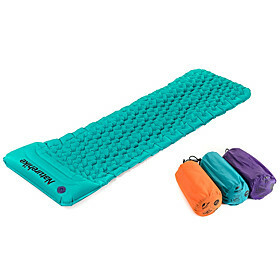 Incredibly lightweight the SynMat Winterlite 9 Sleeping Pad packs down to 8 inches and weighs in at a mere 18oz leaving ample storage space for the rest of your adventuring goods. 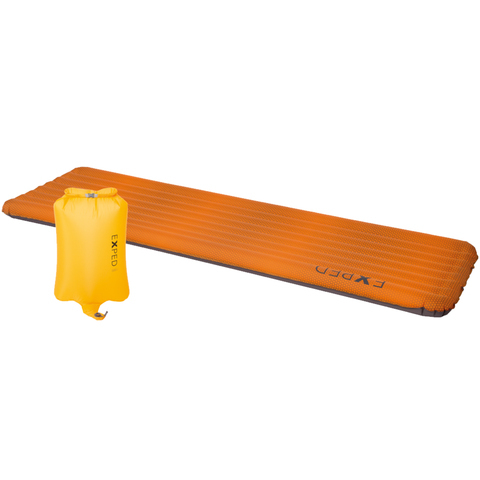 Sleep comfortably on your next camping trip with this award-winning sleeping pad from Exped. 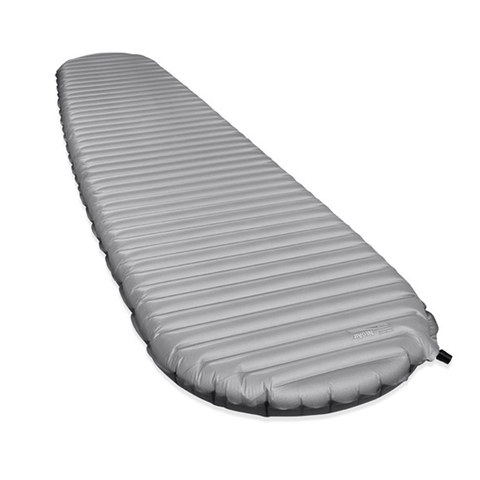 The Synmat XP 7 is warm enough for winter with a durable polyester fabric with a Schnozzel Pumpbag for faster inflation. 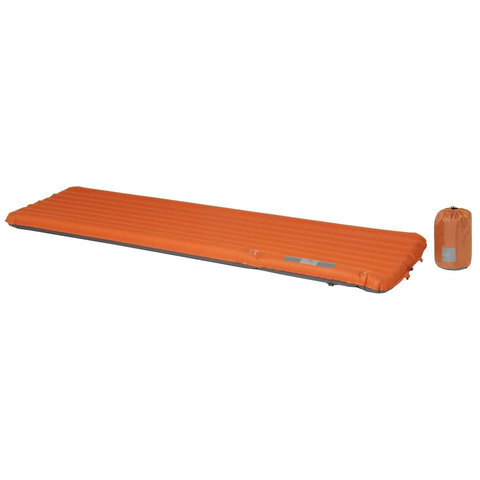 Therm-a-Rest's NeoAir XLite sleeping pad combines maximum performance with practical functionality. 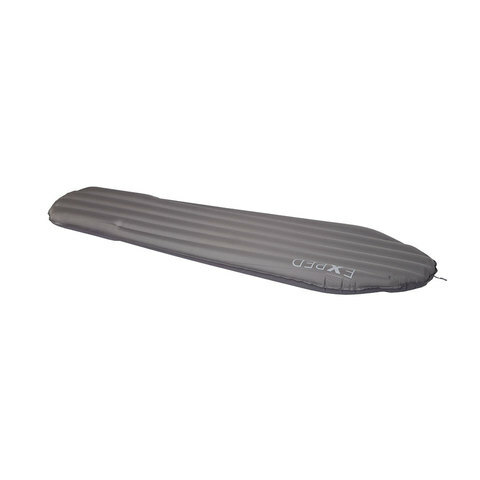 With a renewed design that is tapered and therefore more streamlined the NeoAir Xlite sleeping pad provides maximum comfort while minimizing weight. In fact this new model is 15 percent lighter than the original! The NeoAir Xlite is also extremely warm as it boasts an improved reflective layer that works to recycle body heat for greater heat conservation. To top it all off the NeoAir is fitted with a patent-pending Triangular Core Matrix? construction for maximum comfort. 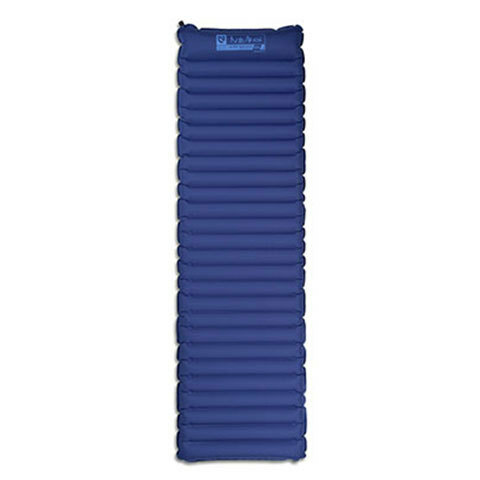 The Alps Mountaineering Foundation Sleeping Pad offers premium comfort, durability, and lightweight packability (regular size) when you backpack the Pacific Crest trail or pitch a tent for the evening. 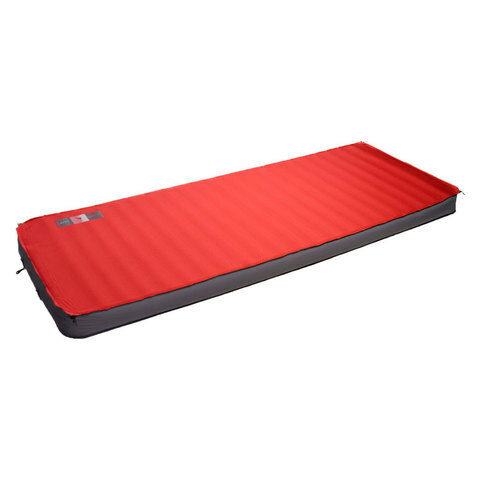 The pad's double line ripstop top and polyester taffeta bottom provide durability, and the jet stream foam gives plush comfort for a great night's rest. This self-inflating pad features a non-corrosive brass valve for fast inflation and long-lasting use. 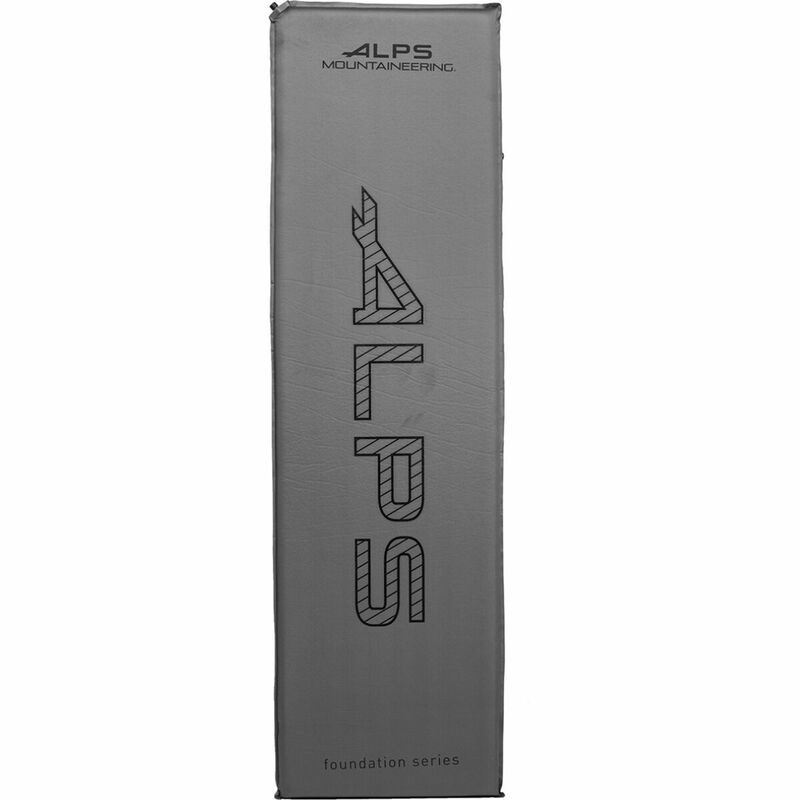 The anti-slip Alps top logo prevents your sleeping bag from sliding around. 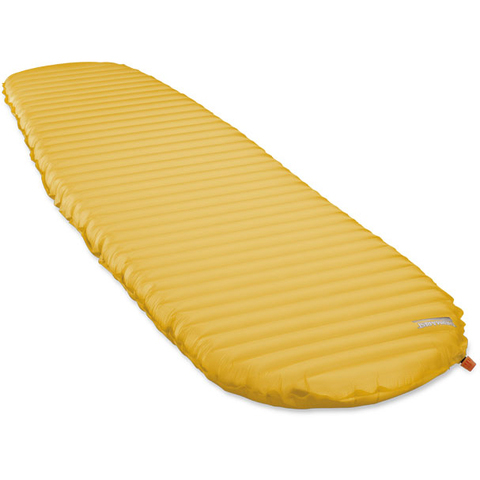 Offered in three different sizes, the regular size is light enough for backpacking, and the long and extra-large sizes are better suited for casual camping. The extra-large pad uses three-inch foam and a thicker pillow for a more luxurious sleeping experience, and it has two valves for faster inflation.